During the 7th UNWTO Global Summit and the SIFT Forum 2018, Seoul announced the second edition of the Global Campaign “Fair Travel Living Together", aimed at raising worldwide awareness of fair travel and sustainable tourism while promoting mutually beneficial relationships between tourists and host communities. As the host city of the 7th UNWTO Global Summit on Urban Tourism, which took place on 16-19 September, the South Korean capital is determined to spearhead global discussions and efforts towards fair, responsible and sustainable urban tourism. 1. To respect the culture and rights of the people of the city in which you are traveling. 2. To respect daily life in the city: make an effort to keep the noise down and reduce trash. 3. To minimize the environmental damage caused by the act of traveling. Reduce carbon emissions and save our planet by preserving nature. 4. To consider that travel is a right for all and make sure that the socially vulnerable can enjoy their rights to travel and movement. 5. To practice ethical consumption, and make an effort to choose local shops, restaurants, markets and handicrafts. 6. To respect the rights of workers in the tourism industry, including hotel workers, shop owners and guides. Download the posters from the right-hand panel in PDF format. 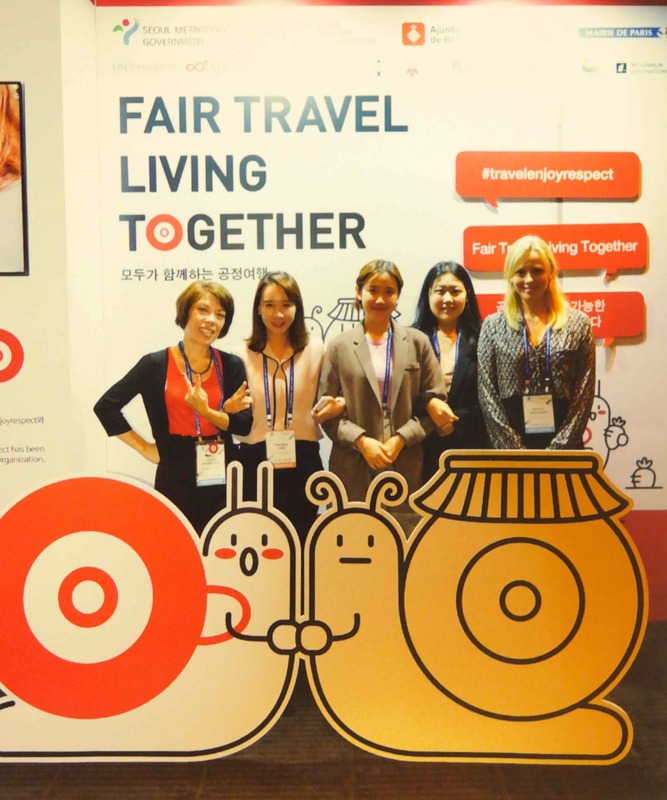 ENAT supports the Global Campaign: "Fair Travel Living Together"